Tofino is a town on the west coast of Vancouver Island. 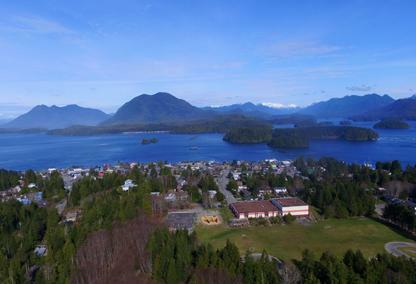 It is one of Canada’s post popular tourist destinations and as a result there many times more people in Tofino in the summer than in the winter. Clayoquot Sound and the world-famous Long Beach (Pacific Rim National Park) is what attracts people to Tofino. Located on a peninsula there is plenty of oceanfront real estate in Tofino, but even if you buy a non-waterfront home you will never be far from a stunning beach and sunset. Listing courtesy of RE/MAX Mid-Island Realty (Tfno). Large, single family home with some views of Clayoquot Sound. Great for a staff house or large family; custom built with many options. Listing courtesy of RE/MAX Mid-Island Realty (Uclet). Building lot in a quiet cul-de-sac. Level with room for expansion. Some solid rock. Views of Clayoquot Sound and Meares Island.